Looking for... Columbus Singles Events, Columbus Singles Dances, Columbus Speed Dating, Columbus Singles Groups, Columbus Singles Activities, Columbus Singles Resources, Columbus Singles Networking Opportunities, Singles Dining Clubs, Events for Christian Singles, Jewish Singles and Mature Singles in Columbus, Columbus Singles Parties, Opportunities to Meet Singles, Find Clubs and Dating Sites, Social Events for Singles in Columbus, Local Singles Dating Opportunities... Single Dating Sites... Single Women... 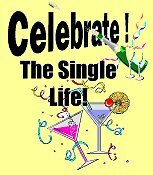 Single Men... and the Columbus Singles Dating Scene ... and are tired of Singles Bars and are looking for nightlife in Columbus... well, you’ve come to the right place. Whether you're a Single Woman or Single Man this is your gateway to Singles Events and Activities in Columbus. It doesn't matter if you're looking for Speed Dating in Columbus, or just plain old fashioned Singles Dining - Singles Dance or Singles Social Events... this is the place to come. You might even find organizations for Christian Singles, Jewish Singles, and Mature Singles... as well as Networking Opportunities... and a whole lot more. Isn't it about time you got out of the house and lived it up a little?... here's your chance! The Columbus Movie Group - Though not stritly for Singles - If you enjoy movies, this is the group for you. They meet several times per month and try to hit 'em all: blockbusters, art house favorites, indie and foreign films, special events, etc. Singles Mingles of Central Ohio - They offer you the opportunity to meet other friendly singles in a safe, inexpensive and casual environment with no obligations. 20's meetup and hangout - Though not strictly for Singles, this group is for people who are in their 20s, maybe new to Columbus (or maybe not), have busy work schedules and have a tough time meeting new people, and are excited to network, connect, and build friendships with other people. HikeOhio! - Though not strictly for Singles, this group is for anyone who likes to hike and walk on nature trails, backpacking trails and just about anywhere in the great outdoors. Columbus Sports & Social - A responsible, active, and healthy group of individuals and professionals who want to gain more from life and from Columbus. The aim of this group to foster an environment to make and sustain friendships. Columbus Singles Networking - A Social Club for Columbus Professionals that gets you offline and out of the office for fun, casual and unique events all over town. You get the chance to try something new, and meet some cool people, in a friendly, positive, laid-back setting. The Columbus Outdoor Adventures - Though not strictly for Singles, they offer the opportunity to meet with other people who love the outdoors.